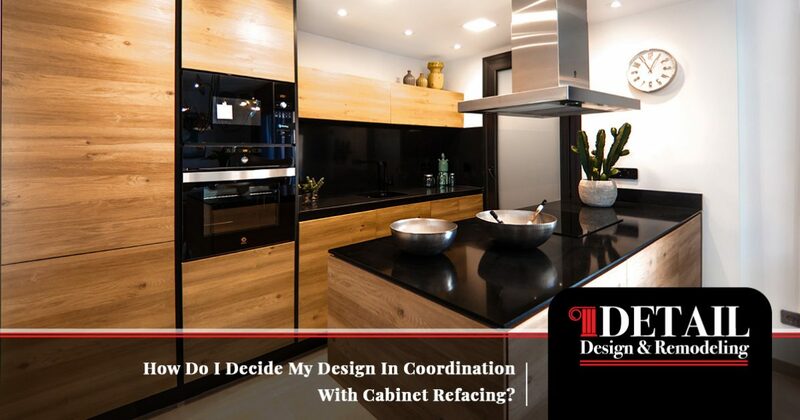 How Do I Decide My Design In Coordination With Cabinet Refacing? If you have decided that now is the time to complete kitchen renovations in your Georgia home, congratulations! Kitchen remodeling projects are an exciting task that can greatly enhance the visual quality and daily enjoyability of your space. When done correctly, kitchen upgrades can result in big boosts to your home’s value. While home remodeling is rewarding for many people, it can prove to be a major challenge trying to coordinate the different colors and styles in your kitchen. 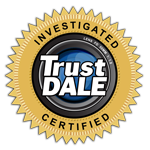 It’s important to plan correctly and make the right choice the first time to avoid unwanted outcomes and costly repairs. Detail Design & Remodeling is here to serve as your source for complete kitchen remodeling and cabinet refacing in Atlanta, delivering cost-effective services that are both long-lasting and beautiful. For years, our home remodeling contractors have worked to deliver the best outcomes for each of our clients, relying on old-world craftsmanship to exceed your high expectations. We’re here to help you through every step of your kitchen renovation. Today, we’ll highlight the order in which you should plan your design in coordination with kitchen cabinet refacing. When you are finished, be sure to reach out to our team to receive a quote for your home! Kitchen cabinets are often the mostly costly aspect of your renovation budget, and they normally take up nearly half of the visual space. It can also be hard to find the right style and color of your cabinets, as options are much more limited when compared to paint colors for your walls. Be sure to find a cabinet color matches your home’s personality. Our cabinet refinishing experts can help you here, as these colors will dictate a majority of the mood and style your kitchen represents. Be wary of matching your cabinet colors with your trim. If you plan on installing new appliances with our custom cabinet work, now would also be a good time to coordinate the color of your appliances. As the closest elements to your cabinets, it’s important to find colors that don’t clash. Once the first decision has been made, it’s time to choose the style and color of your countertops. This element of kitchen design is close to eye level, playing a large role in the overall look and feel of your updated kitchen. Remember that your countertops take up a large surface area and should serve to complement both your cabinets and your flooring. If you are upgrading your floors as part of the process, now would be a good time to choose the floor color to mix amiably with your appliances, countertops, and appliances. One thing we recommend is to never to match your cabinets with your floors. While it sounds nice, too much of one material, such as oak, can actually work to wash out the unique beauty of your kitchen. Contrast is a dynamic element in kitchen design! Now that your countertops are picked out, it’s time to look at backsplash options. Be sure to bring a sample of your countertop with you during this phase, as backsplashes can either enhance or limit the beauty of your kitchen design. It’s important to find a style that contrasts your chosen materials so far for a memorable effect. If you need help finding the right option to perfectly fit your new design, our experienced home remodeling contractors are here and always ready to lend a hand! As the last remaining plane of your kitchen, your walls represent the final piece of a quality design scheme. The reason we recommend choosing the wall color last is that there are simply far too many colors available, making it hard for some homeowners to make future choices that mesh well with their wall hue. If you choose wrong on the wall, the rest of your project will be that much more challenging. At this stage, we recommend finding a color that perfectly balances all of the new elements in your kitchen. If the rest of your space isn’t exciting enough, now may be the perfect time to introduce a dramatic contrast. If you have not chosen the hardware to match your refaced kitchen cabinets, now would be a good time to invest some energy in finding a style that helps to further enhance the beauty of the room. It’s amazing how small improvements such as luxurious handles can bring your kitchen design to the next level. Deciding on a color scheme for your kitchen can be hard work, but the experts at Detail Design & Remodeling are here to help. We specialize in professional cabinet refacing and refinishing for Atlanta homes, delivering results that are sure to meet your high expectations. From custom cabinets to full tear-outs, our home remodeling contractors do it all. Contact us today to learn more or to begin planning your remodel!